The holidays tend to bring all sorts of emotions to the surface. Whether we consider family as the group of people we were born into, that we married into, that we were hired into, or one we created ourselves (friends), navigating the family and relationships, in general, takes some skill. Some of us have small families with maybe just one person to relate, while some of us have large families with lots of personalities. We are close with some members, not so close with others. 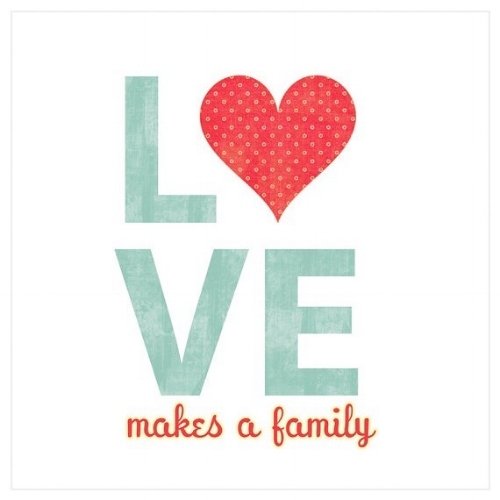 Still, for all of us, we are at the center of our family. What everyone has in common is us. When conflict arises, it’s important to understand ourselves, manage our actions, rise above your own tendencies, and find equanimity with everything else that’s beyond our control. That’s not so easy, right?! It allows us to have mindful responses, not emotional reactions, to any circumstance. It helps us to respond to everything and everyone in a neutral way and to stay open to all experiences. It’s an important skill to practice because in any given moment, “the mind can be our best friend or our worst enemy”, as my teacher Yogi Charu would say. 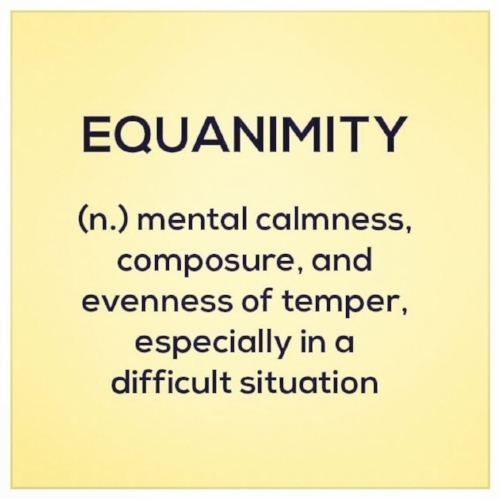 Equanimity in Relationships: How do you deal with people? It would be one dimensional to say that a person falls into one single category. I think the reality is that we all fluctuate among each of these states all the time — some of us just like to hang out in one state longer than another. Patanjali reminds us that there is a Yogic way of approaching all people, no matter what behaviors and attitudes they may be exhibiting at the moment. In other words, to cultivate equanimity, we strive to respond with right action when encountering any “type” of attitude or behavior. The universe sends souls our way to help us overcome our issues (to test us) and at the same time sends us tools (meditation, yoga) to overcome them (through insight and self reflection). With a happy person, be friendly. Be able to share in another person’s happiness or good fortune, instead of being jealous or trying to destroy their joy through negative words or actions. Jealousy doesn’t hurt the happy person, rather it robs you of your own peace of mind. With a virtuous person, offer goodwill. Appreciate and be open to inspiration by knowing such greatness is possible. With difficult people, develop neutrality. Not everyone will be aligned to our values, some people may oppose them. At some point in our lives perhaps we said or did something hurtful to someone else. The best way to keep the mind calm is to be indifferent to that person. Acting in a way that is neutral does not mean approving of bad behavior. It means tapping into your own inner strength, patience, and forgiveness. “Those who have achieved mental discipline regard everything – stones and gold, friends and foes – equally. They are not motivated by personal ambition and keep to themselves in a peaceful frame of mind.” (Bhagavad Gita 6.8-10) This is not always easy, so meditation is one tool that can help us to cultivate equanimity. Repeat 10, 20, 100 times until you are at peace. Each person we encounter, including those in our families, is a teacher incognito, and every circumstance is an opportunity for growth. Why not use that chance to ask – What can I do to make this holiday special for my family and for myself? The answer just might navigate you towards true north – a higher learning and a higher purpose.